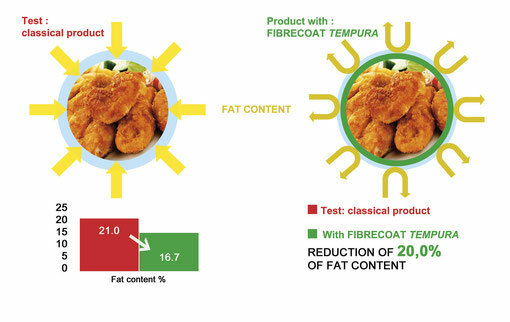 FIBRECOAT TEMPURA, made up of 100 % natural seaweed extract and vegetable fibres, helps you reduce fat in fried tempura food. 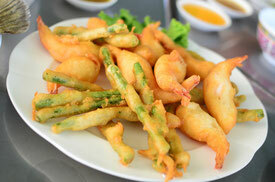 The product should be directly added to the tempura mixture. In doing so, the pastry will form a network and will prevent the frying oil from soaking the piece of food. The result obtained by using this method is a reduction of 20.0% of the fat content.